Alpine’s bankruptcy has caused thirteen enterprises to slip into insolvency so far. Half of the companies are currently fighting for continuation, according to credit protection agency KSV 1870. In Slovakia, employment fell in the construction industry and in the manufacturing industry. Wages were up in most sectors. Creditors of Alpine have very little chances of being compensated after the construction company declared bankruptcy. Currently Alpine holds € 52m in assets. Austrian construction company Strabag has landed a deal for building a highway section in return for € 106m. CEO of listed Austrian construction company Porr Karl-Heinz Strauss is still in favor of a capital increase in 2014 or 2015 and calls upon the government to create “projects for the future”. Because of the construction company’s bankruptcy, almost 5,000 employees lost their jobs. Currently 133 persons are still looking for a job. The Austrian construction company Porr has landed two contracs in North Poland for a total volume of € 150m. According to a commercial councelor at the Austrian Chamber of Commerce (WKO) in Istanbul, Austria is focused too much on Eastern Europe. Switzerland exports triple the amount to Turkey. Strabag developing and building infrastructure highlight Orgelpipan 6 at Stockholm's Citybanan commuter station. Take over as an ideal supplement for the portfolio of Porr in the demolition and recycling sector. According to the Romanian Infrastructure and Foreign Investments Department (DPIIS), investors from China will support the construction of new highways and electricity generating power plants in the amount of more than € 3bn. 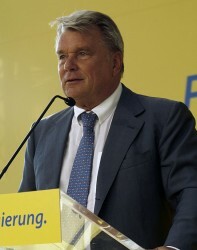 Austrian party NEOS has added former CEO of Strabag Hans-Peter Haselsteiner as top candidate for the parliamentary elections. Haselsteiner has so far supported the party behind the scenes. Not only the labor market in Austria is burdened but also thousands of creditors have invested in bonds of the construction company and are now facing enormous losses. More affiliates of Alpine are affected. 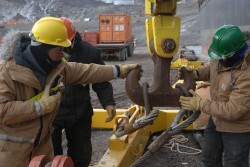 By the selling of the German affiliate of construction company Alpine 520 out of 1,250 employees will lose their jobs. Turkey is hoping to become the ninth largest economy worldwide by the year 2050. Growth rates will be around 5.2 percent in the years from 2012 to 2017. 90 percent of former Alpine employees have a new job. However, 404 persons are still looking for a new employment. According to the reports of the insolvency administrators, reasons like a chaotic management and low-price offers that did not prove cost-covering led to massive losses in projects abroad. Almost 5,000 former employees of bankrupt construction company Alpine can feel relieved as this week the insolvency contingency fund will start with settlements. However, creditors will only be given a rate of five percent. Gerhard Weinhofer of creditor protection association Creditforum counts with a “micro quota” for creditors of bankrupt construction company. 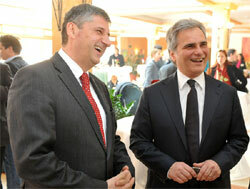 If the US, as the perpetrator of the financial and economic crisis, shows two percent in economic growth, while Austria only 0.2 percent, then this was a “disgrace”, Leitl announced during the economic forum in Alpbach. The downfall of construction company Alpine, the biggest bankruptcy in the history of the second Republic, has not been finished yet. Construction cost index for residential buildings increased by 1.8 percent in July 2013. 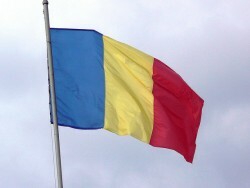 Romania: GDP slowed down in Q2, as expected by RBI. Former affiliate of construction company Alpine Bau Alpine-Energie, which is based in Linz and was temporarily “parked” with a special company, has a new owner. Economic upswing will take time. Considering the individual branches an uneven picture emerges. In June 2013 the construction output declined by 11.1%, year-on-year (y-o-y). The crisis of insolvent construction company Alpine goes back much farther than assumed so far. The company had problems in 2009 already to settle invoices. After the construction company’s bankruptcy, 82 percent of Alpine employees have found a new job again. 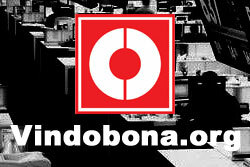 Around 100 persons are still working on the winding up of the company. Former CFO supposed to have asked Spanish parent company FCC for liquidity assistance in the amount of € 115m, otherwise “we are dead”. The Czech economy is shrinking. According to experts, new Prime Minister Jiri Rusnok will not be able to change much. Enterprises have started to cut back on investments. The closing down of Alpine Holding is only a “formality”. According to Österreichischer Verband Creditreform (ÖVC), a credit protection association, “a restructuring of the debtor is not planned and not possible”. The rate for Alpine creditors declines day by day while the rate of the Trade Unions is immense. Almost all employees of Alpine were looking for help and advice. Serbia intends to withdraw from the building contracts for the construction of a highway with bankrupt Alpine within the next 15 days. The insolvency proceedings for Alpine Holding have now officially started at the Commercial Court in Vienna. Liabilities come at € 700m. 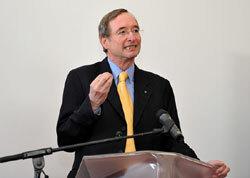 Social Minister Rudolf Hundstorfer assumes that a lot of Alpine employees will continue to be employed. Former CEO Schiefer announced that Alpine was “clinically dead” when he took over management in April 2013. 1,800 employees of bankrupt Alpine can feel relieved. In all probability three Austrian construction companies (Habau, Swietelsky and Hinteregger) will be involved in the regional rescue solution. Swietelsky plans to take over 1,500 employees. 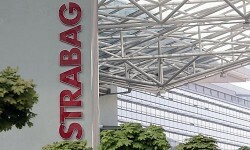 Strabag announced interest but remains unheard. Time pressure grows. Work at the closed down construction sites of bankrupt Alpine it to be resumed soon. Because of suspicions of tax fraud Hypo Group’s affiliate in Udine was searched by the Italian police. Startled by construction company Alpine’s insolvency, the Austrian government has agreed on the fiercly discussed stimulus package. An amount of € 800m is required additionally. Bankrupt-gone construction company Alpine operates at 1,400 construction sites and is supposed to complete orders in the amount of € 800m. The shutting down of the enterprise has been decided.